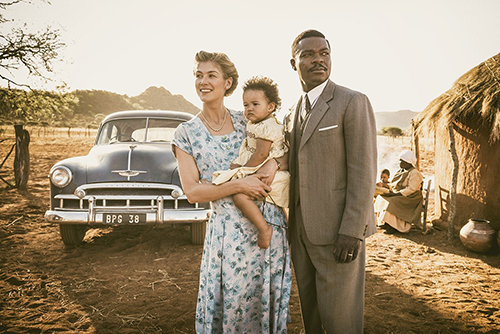 A United Kingdom is based on the true story of Seretse Khama (David Oyelowo) who meets and falls in love with Ruth Williams (Rosamund Pike). This is an inspirational real romance between the Botswanan King and his British wife set during the 1940s. Their interracial union faced opposition from both of their families, the Botswana tribal elders, the British government, and the South African apartheid government. 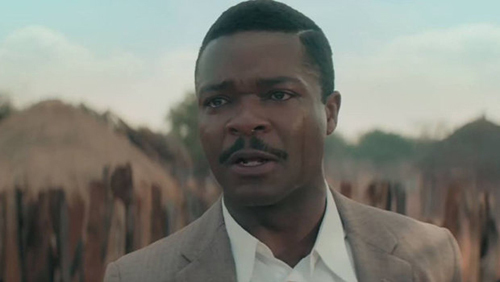 The film traces their courtship in Britain where Seretse is studying law and their journey as they move to Bechuanaland (modern-day Botswana). Ruth struggles to fit in, while Seretse attempts to convince his people and the British government that he should be king. He argues that his marriage to a white woman is a separate matter of personal choice. The storyline is worthwhile and an interesting insight into an enduring love story, while shining a light on a complex and painful chapter in British history. It's a shame the story lags in places and I would have liked to have seen (rather than read at the end) the accomplishments of the couple. Seretse Khamas' son, Ian Khama, is currently the democratically elected president of Botswana and the family cooperated in the making of this film. 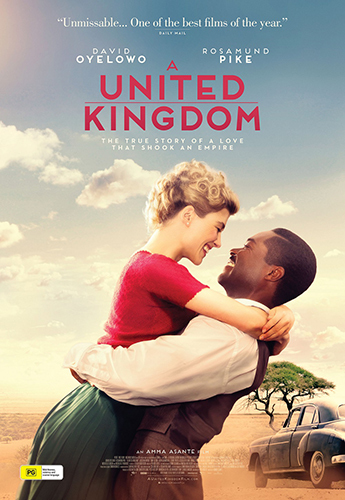 A United Kingdom is an enjoyable film about a true story which deserves to be heard. A United Kingdom releases in cinemas around Australia on Monday 26th December 2016. When: Released Monday 26th December 2016. I can't wait to see this film, I saw the trailer the other day and it looks amazing. Why is there a reference to "South African apartheid government"? This was in Botswana - had nothing to do with South Africa.